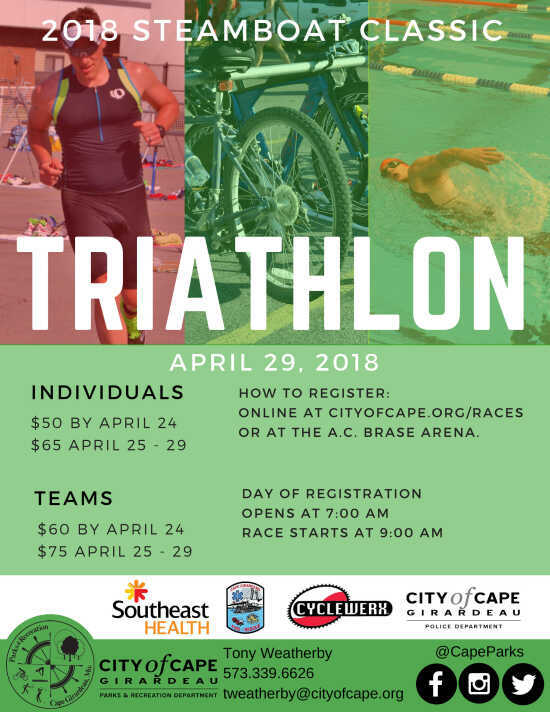 This sprint triathlon consists of a 450 meter swim at Central Municipal Pool, and a 15.5 mile bike and 5 mile run throughout Cape Girardeau. Registration will begin at 7:00 a.m. at Central Pool. This is a USAT sanctioned event. Participants that are non-USAT members are required to pay a $15.00 USAT fee. For more information about this race contact Tony at 573.339.6340 or tweatherby@cityofcape.org.